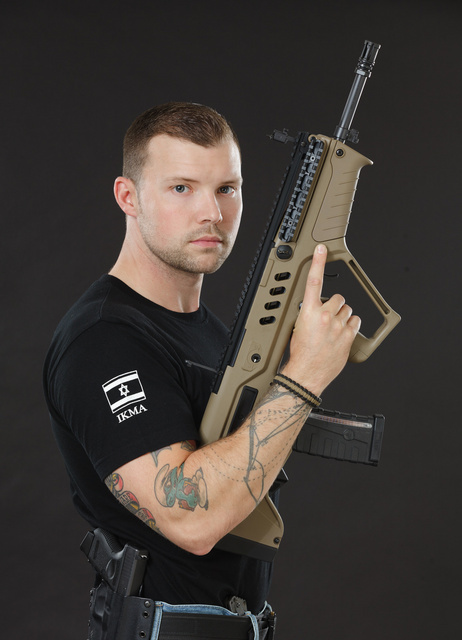 Tavor for the long range. Krav Maga for the short. I suppose the Glock would be for the medium, or when long guns would be inexpedient in confined spaces. Neat Kydex by Raven Concealment. 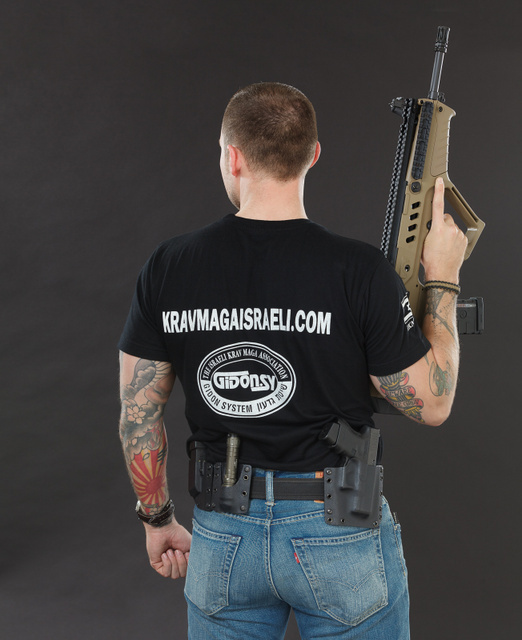 This entry was posted in interesting people, pistol, rifle and tagged 223, bullpup, martial art. Bookmark the permalink. I would say UCAV is Israeli long-range weapon, while M-109 and Merkava are for short ranges. Does anyone else find it difficult to retrieve their wallet when wearing a pistol, IWB or OWB, in that location?